I’ve got to hand it to the folks at Arran Malt Distillery – every single one of their single malt whiskies are bottled at a minimum of 46% ABV and are non-chill filtered. At 46% ABV, I feel I’m given the freedom to drink the stuff straight or add a wee bit of water, just incase it’s too hot. At 46%, some of the added dimension to the whisky imparted by the alcohol remains. With the whisky not being chill filtered, there are a lot of great fatty acids that stay in the whisky which help it retain it’s maximum flavor. As an example of chill filtering verses non-chill filtering, you can check out my review of The Balvenie 21yr Portwood here where I compare the two different versions. 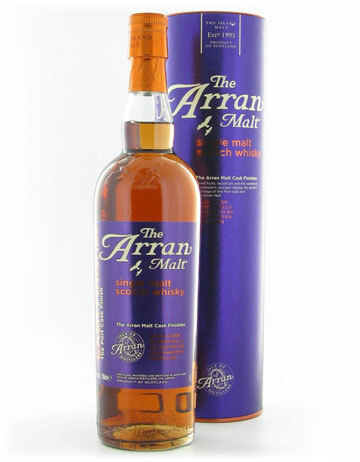 OK, going to go right into this one here… Another special cask finish by Arran – a bit of a strange one but hey, I like strange. On the nose — Spicy nose with initial hits of spiced shittake mushroom. 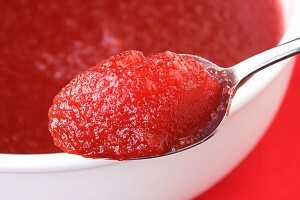 Cinnamon applesauce, perhaps with some raspberry mixed in. Traces of green apple-y new make spirit. 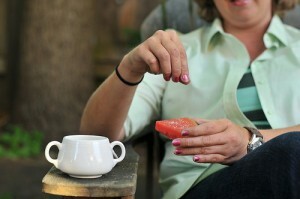 Smoked salt on watermelon (my wife introduced me to this delicious treat – try it sometime – delicious! The woman shown is NOT my wife, by the by). 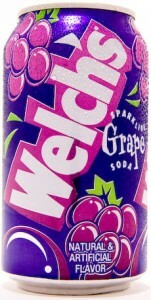 On the mouth — Fresh grapes and fizzy grape soda, Welch’s style. A dry cool night filled with fallen leaves. Salty on the mouth with added notes of starfruit. Some soured milk/baby sick… an interesting group of flavors. Finish — A tad garlicy with some hot pepper. Good length. 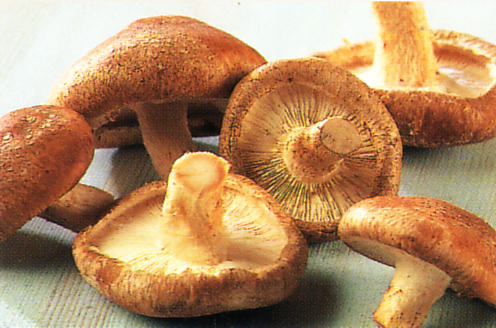 In sum — Light yet warming – the autumnal note in the tasting of this hit it on the head. A warmer-upper of a whisky. It’s youth is apparent but this is not a fault. I enjoyed the brightness. An extra year or two in a bourbon cask may have helped to balance this whisky out a bit but, if it were in your house house and you offered me some of this whisky; I’d not say no. I may jump at the chance to sip more. Fun stuff.